Video – Going Back to Godhead Only by doing Book Distribution? Video – Can We Donate Books Instead of Distributing? Video – Can Matajis Go Out For Book Distribution? Video – How to Avoid Anger? Video – How to Become Happy In This Material World? Lecture – SB 3.6.3 Beep, beep, beep, Where’s the worm? Lecture – SB 7.7.10 Can a devotee of Krishna be murdered or killed? Lecture – SB 10.13.2 Why Are You Not A Paramahamsa? If They don’t follow it, it is alright. But if anyone else who does follow it, they are condemned. 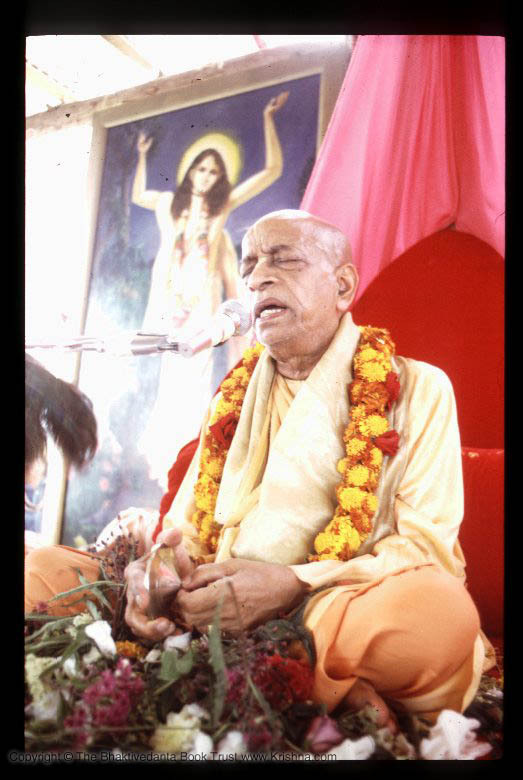 "Everyone thinks that there is a God, but unfortunately most people think that it is them"
Lecture – Srila Prabhupada’s App. Day- What Is Perfection? What Is Acharya? Lecture – CC Madhya 16.72 Just A Madhyamadhikari? Darshans – Mrdanga Bring You Back To Godhead? Lecture – BG 15.10 Sunday Feast- Why Difficult To Curb? Lecture – BG 15.10 Jazz Is God? Lecture – BG 10.10 I Don’t Sew Garlands! Lecture – SB 7.13.23 What, Just An Instrument? I thought he was going to pull out a book. He started reciting the whole chapter. Lecture – SB 3.7.29 Regulate Your Life & Preach!